I’ll be honest, as a mom of a picky eater, there are lots of times I just want to throw in the towel and feed my child M&Ms and cupcakes all day. I trick myself into thinking she’d be happier, and I would be too. Recently I was listening to a webinar about picky eating by a couple of other dietitians. I walked away from that webinar with a renewed sense of direction for helping my picky eater. They said the goal should be to get your child to eat an orange and green fruit or vegetable most days. This goal provides adequate nutrition for growing bodies, even if your picky eater’s palate is limited. 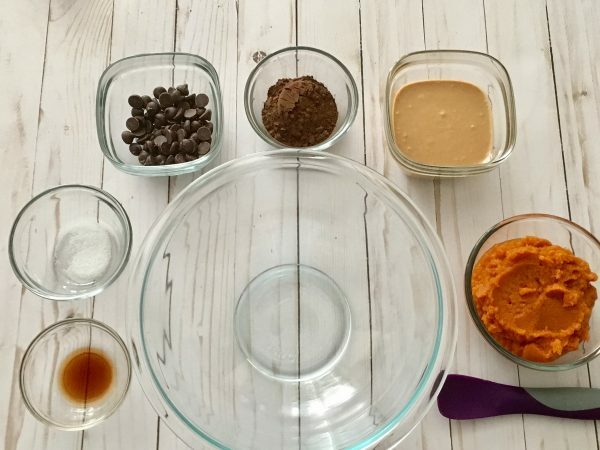 After a couple of failed attempts, we resorted to a few favorites, like my sweet potato waffles and then I went back to my original thought, that maybe feeding my child M&M’s and cupcakes didn’t have to be a bad idea. When I first pulled these out of the oven my little picky eater didn’t want anything to do with them. So, I asked her if she wanted a cupcake, and in true picky eater fashion, she told me, “no, she didn’t like them”. UGH! They are chocolate, I thought, WHOSE child are you?!? 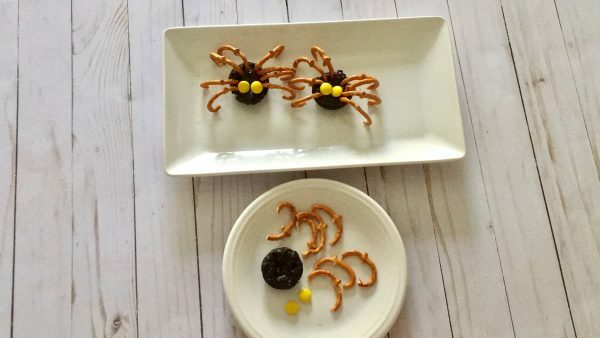 Putting my best Halloween-loving mom brain on, I decided to make my little “cupcake” (they really are more of a brownie, but my daughter doesn’t know what a brownie is yet) into spiders. 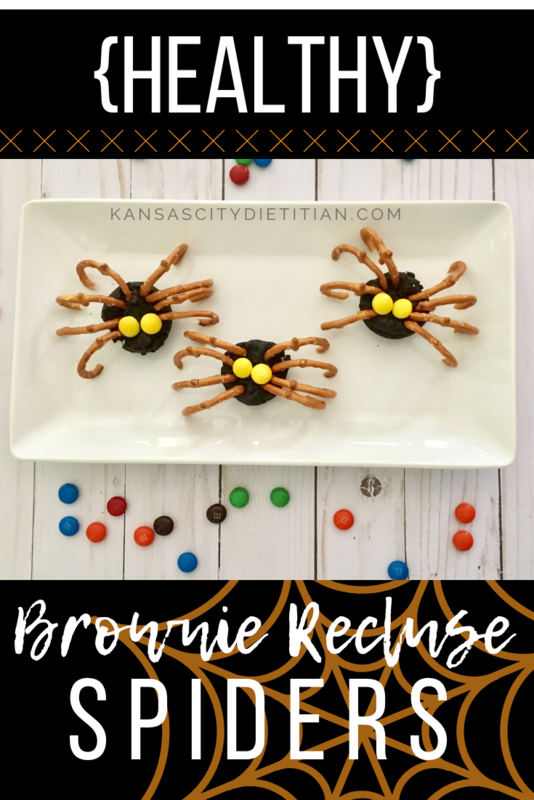 I grabbed her favorite candy, M&Ms of course, and another favorite snack, pretzels, and made these fun, Brownie Recluse Spiders. Adding a little spider frenzy was all that it took to make my little picky eater into a believer. 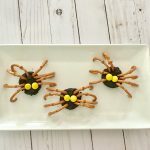 Note: While I love the curled legs of the pretzels I have to admit they did take a few extra minutes to make, so if you are trying to make these quickly, grab pretzel sticks instead. I have also made this recipe with bananas instead of pumpkin. You can sub it out one-for-one but as you’d probably expect they are a little bit sweeter, not a bad thing for most people. 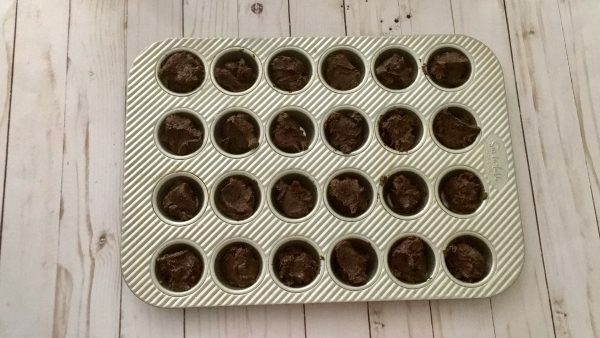 I would also recommend using dark cocoa powder if you are using banana to minimize the strong taste of banana. Check out the full video on how to make these fun treats.